As an engineering firm, your reputation is everything, but at the end of the day, you’ll only ever be as good as the quality of your staff. Your reputation isn’t just important for attracting clients, it is critical for attracting the talent into your firm as well. You need talent to build a great reputation, and you need a solid reputation to get the engineers at the top of their game onto your payroll. You can’t have one without the other. When your reputation is strong, recruiting the best talent is going to be a breeze. If you have some weak spots in your reputation, you run the risk of stunting your growth due to the inability to attract the talent that will help you rise above your current setbacks and achieve your goals. Do you know what prospective employees see when they look at you? Do you know how to build a strong reputation so that recruits flock to you over the competition? Here is what you need to know about managing your reputation and creating the professional persona that no rising talent can resist. Nobody wants to admit that their reputation is less than stellar. Often, businesses focus on how they appear to clients, but completely neglect the professional image they put forth in the job market. To be fair, this can be a tough one to assess. Clients are usually more than happy to tell you what they think, prospective employees on the other hand have reason to not be so forthcoming. So how do you get a clear picture of the image you present to potential incoming talent? You start by asking yourself the right questions. When was the last time you Googled your company the same way someone considering joining your team would? New recruits are looking to find out what type of employer you are, and searching for clues on how time spent with you will escalate their careers. Try looking at your company through their eyes. What are they seeing when they look at employer review sites like Glassdoor? What do your client reviews say? Is information about your achievements and innovation in the industry easily accessible? The goal is to get a clear snapshot of what talent sees when they first scope out your business. You are one part of an ever-growing industry. Every other engineering firm is looking to bring on the same exceptional talent that you are. Are you looking to just fill voids in your workforce or do you want to fill those spots with the best talent around? 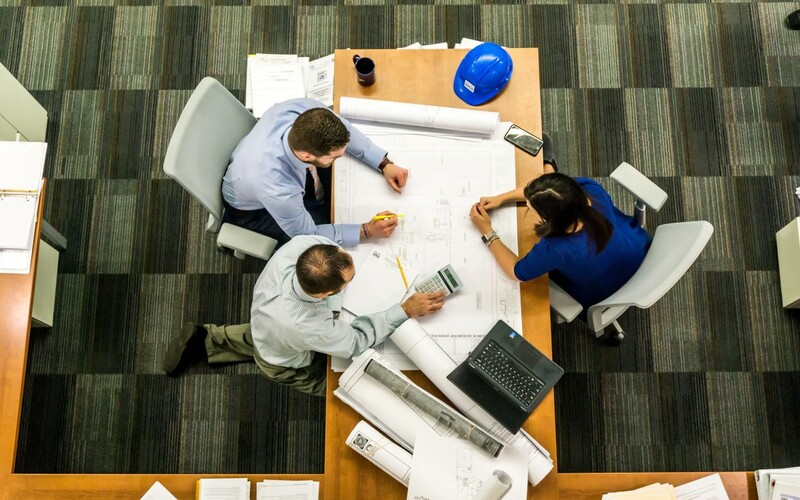 It is guaranteed that other engineering firms aren’t looking to settle for last round picks, so what are you doing to promote your company as a leader in the field? Many, and by “many” I mean most, companies are turning to social media to market themselves. A strong presence on social media can reinforce your reputation as an authority in the industry when you take the time to create quality content that highlights the best of your business. Plus, social media makes this information easy to find. What direction is your direction firm heading in? What innovations are you on the forefront of? Managing your reputation to attract new talent means showcasing an image that new hires want to be part of. What better way to do this than highlighting the talent you already have working for you? New talent will want to know who they will be working with, what they can learn from them and what the future holds. Highlight the reputations of exceptional engineers that are already part of your firm. What are their accomplishments? What prestigious engineering programs are your engineers alumni of? Don’t be afraid to brag about what you already have. So, let’s say that your firm is too new to have a solid reputation, or your reputation is a little less than stellar and that is why you are looking to hire new talent with a knack for innovation? The best time to start building the reputation you need is right now. The good news is that there is high quality talent that will be willing to jump on board and help you build your reputation if you know how to approach them. First, be honest. Honesty is a universal reputation builder. When you are honest about where your firm is, where it has been and where it is heading, new talent will see the potential and want to jump on board. False promises and fake claims will turn away potential talent faster than any little smudge on your reputation. Want to get interested talent excited about working for you? Come at them with a problem. Show them your weakness and ask them their plan for solving it. Introduce prospective talent to your team. The sooner you can introduce a potential new hire to your team, the faster a sense of community and belonging will develop, and that is something that is difficult to resist. Let them in on the base details of a project or two, and let them interact with current staff. Great talent will want to jump on board, share their ideas and start working. The next time your firm is looking for new talent, but can’t seem to find the person you are looking for, ask yourself if it is because the person you want isn’t looking for you. Manage your reputation and let it help you build the best team in the industry.